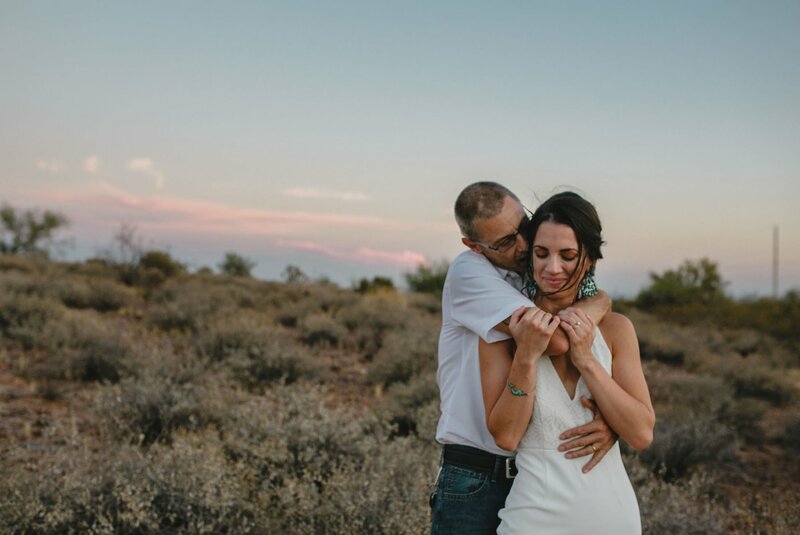 I’m doing more and more Arizona elopements and I’m absolutely loving it. 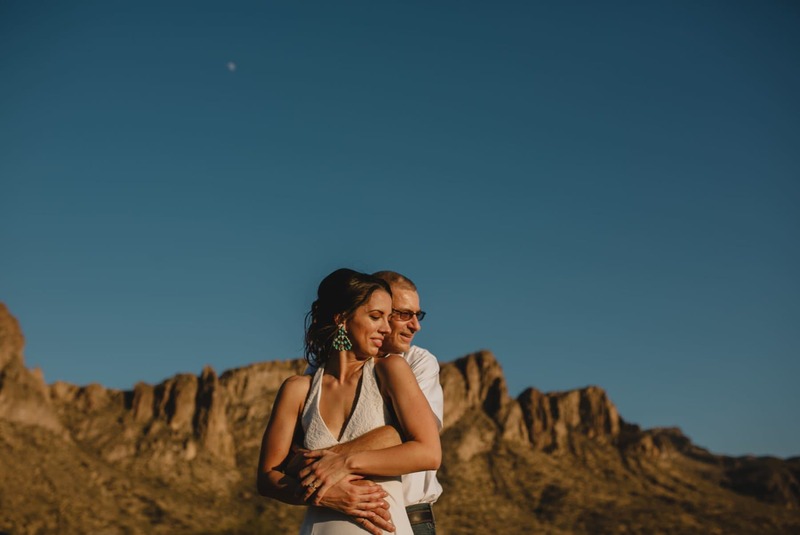 If you’re thinking about eloping, check out my Arizona elopement guide with locations. 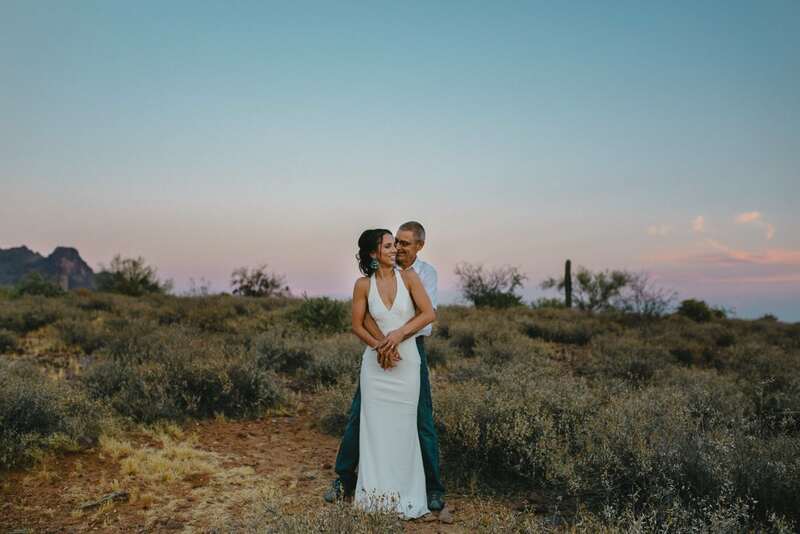 You can also sign up to get my elopement guide on that page with dress ideas and tons more helpful info. I’m hoping to fill up my calendar with lots when the weather cools off in a month or two! 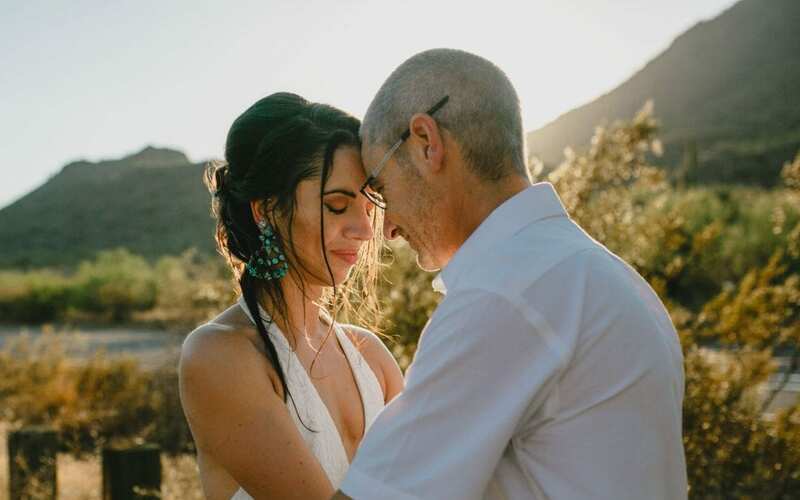 Shoot me a message if you’re interested in chatting about eloping or having a small intimate wedding. 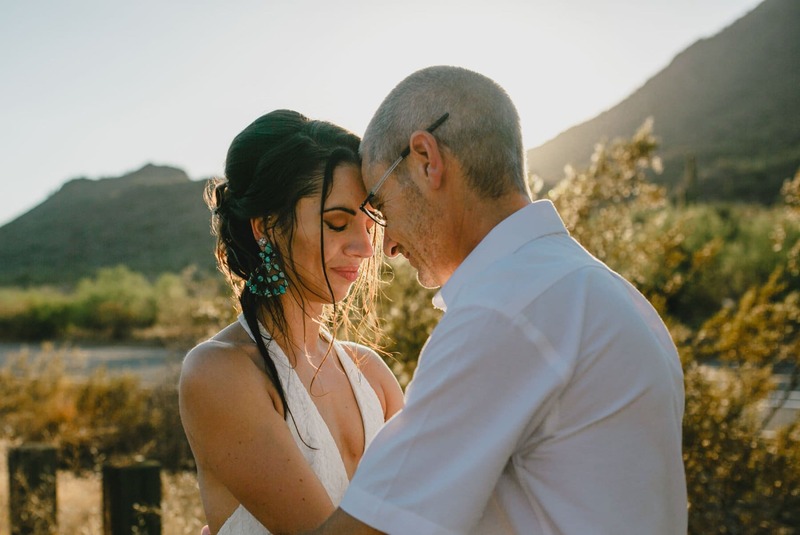 They are getting more and more popular as more people opt to skip the fuss of a big (and expensive) wedding and keeping things simple. 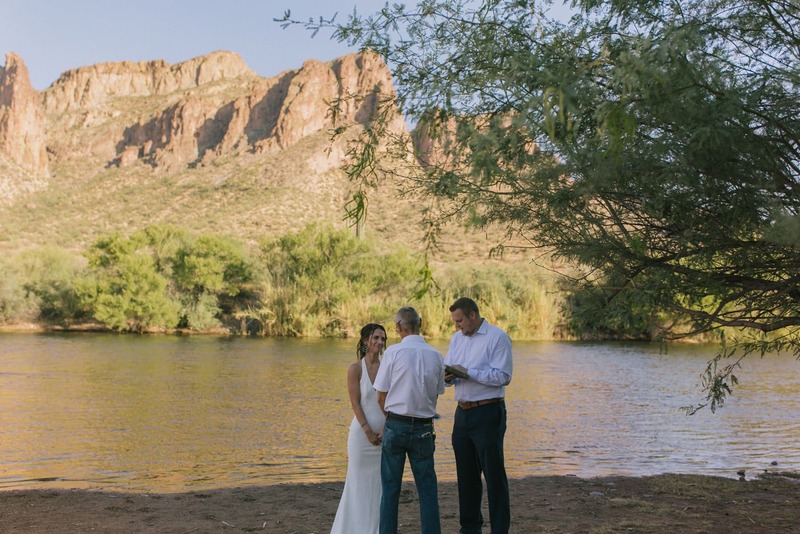 Arizona has a lot of stunningly beautiful outdoor locations to choose from, from places that are within the Phoenix metro area, to places that require a bit of adventuring. 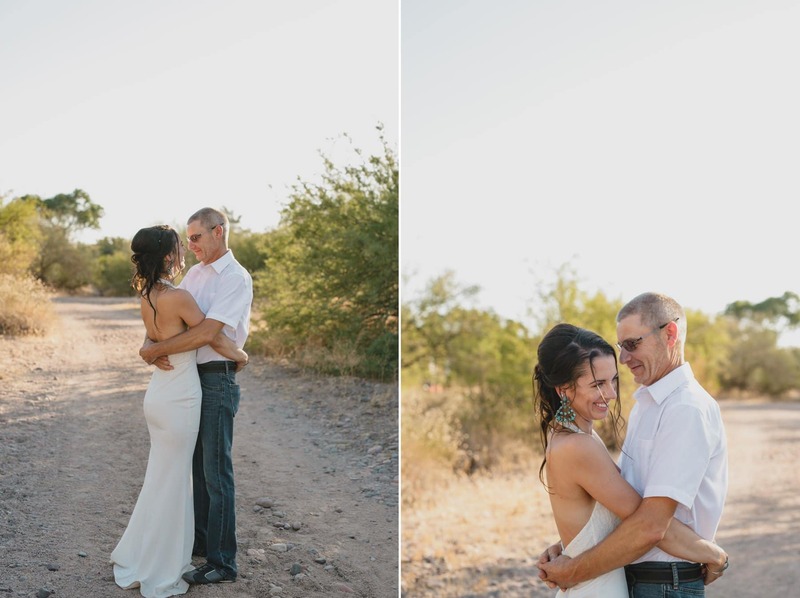 Laura & Paul wanted to elope on a very special date- July 3rd, braving 105 degree heat. It was the 3rd year anniversary of Laura’s terrible car accident in Minnesota which left her paralyzed and unable to walk. She was told to pick out her wheelchair for the rest of her life. Laura refused to let that be her fate, and Paul stood by her side the whole way throughout her difficult recovery. 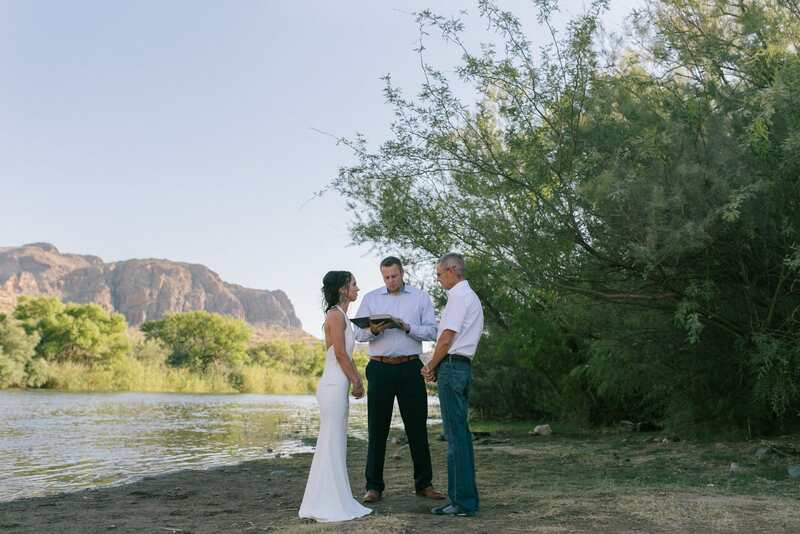 They moved to Apache Junction to get away from the bad memories and start a new life and wanted to elope in their new home’s beautiful scenery. 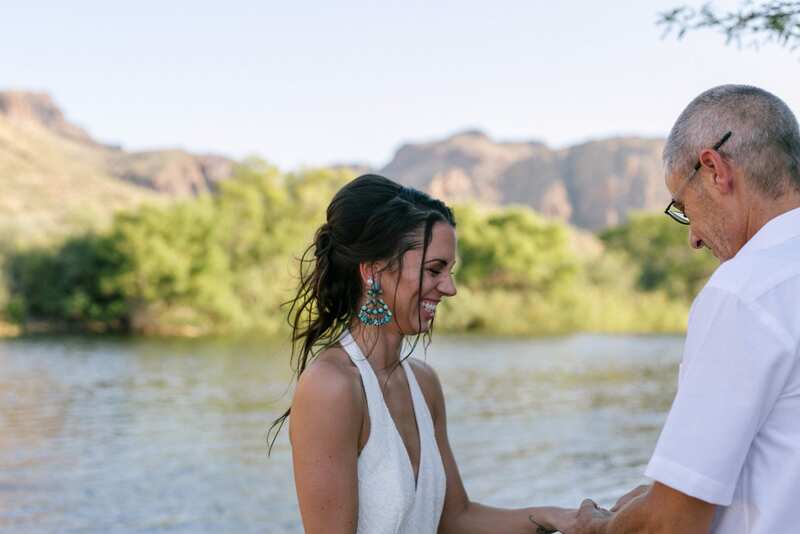 Their ceremony was at the Salt River, and then we ventured out into the Superstition area to get some sunset portraits. Both areas are simply stunning, but I especially love how the light hits the Superstitions during the last moments of sunset. Laura was an absolute trooper walking pretty far for both parts of our session with Paul helping her gently. I love documenting couples’ stories like this- it truly makes my already pretty awesome job even more meaningful. I loved watching Paul’s tender support- gently and quietly helping Laura but still allowing her to do things herself. I respect them both so much having gone through something difficult like that- it takes a special kind of person both to recover from such a difficult injury, and a special kind of person to help their loved one through that. 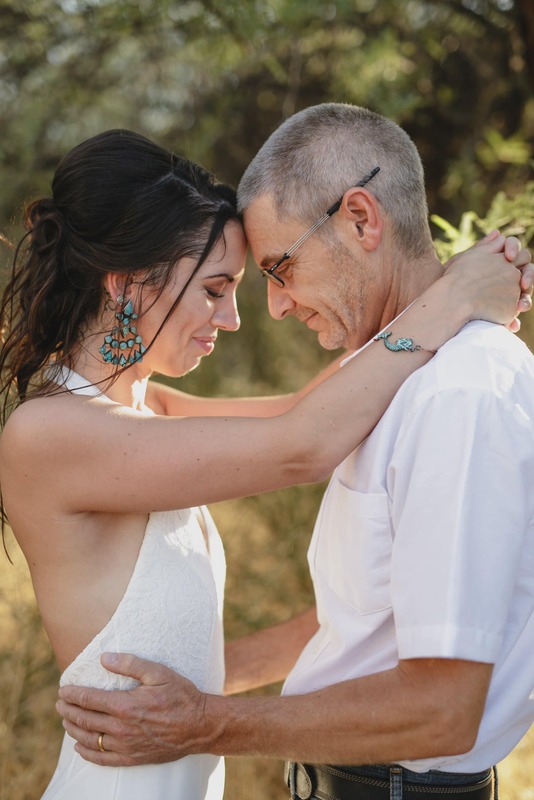 Thank you Laura & Paul for sharing your story with me and allowing me to document a small part of your relationship on an important day for you. Wondering where she got her dress from? Lulu’s which has a lot of great elopement dresses for a good price!